EDMONTON - The Crown wants a harsher penalty for a man who crashed his SUV onto an Edmonton restaurant patio and killed a boy. 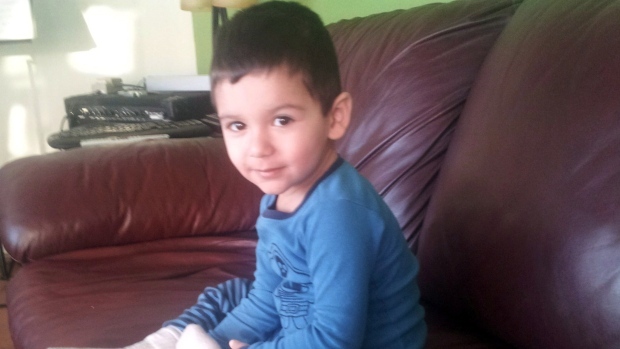 Two-year-old Geo Mounsef was having dinner with his parents and baby brother at Ric's Grill in May 2013 when the SUV pinned him against a wall and he died. The Crown's office says in a statement on Twitter it has filed a notice of appeal against the sentence given to Richard Suter. Suter, a 65-year-old retired businessman, pleaded guilty to failing to provide a breath sample in a death. A provincial court judge, saying the gravity of the crime called for some time behind bars, sentenced Suter last week to four months. The Crown had argued he should be sent to prison for three years.